Celebrate World Oceans Day with Beach Clean-Ups! The World Cetacean Alliance is an organisation dedicated to the protection of whales, dolphins and porpoises. They have recently launched the 'Net Effect' campaign as they work to reduce the impact of ghost nets on marine wildlife. These fishing nets, which have been accidentally or even deliberately left or lost at sea, can entangle fish, turtles, whales, sea turtles, sharks and other marine life. 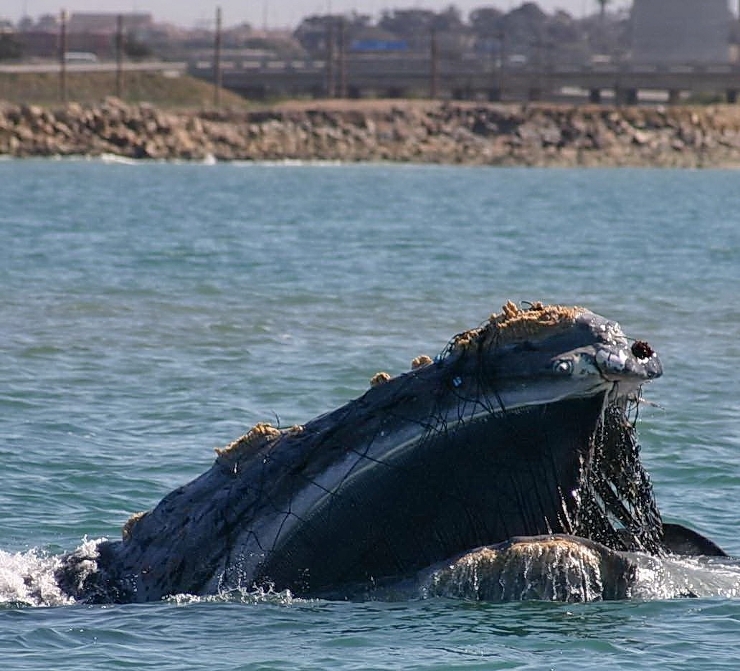 The nets restrict movement, cause starvation, and suffocate animals that need to return to the surface to breathe. They kill over 100,000 marine mammals and countless other wildlife every year. The WCA and its partners are planning a series of beach walks and other activities between June 6th-8th, in celebration of World Oceans Day on the 8th, to raise awareness of these issues. Sponsored beach walks and other activities will help raise funds for the Global Ghost Gear Initiative. 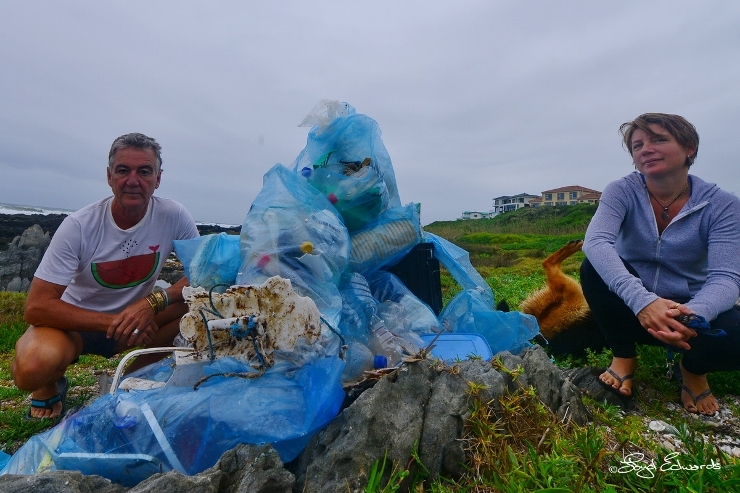 Everyone is encouraged to get involved in some way or another, even by doing a little beach clean-up of your own if you go for a walk that weekend. 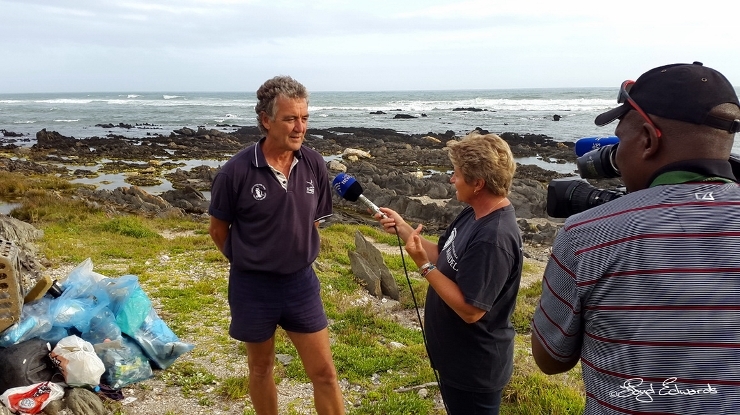 Raggy Charters, along with The Baywatch Project, has been assisting in the prevention and cleaning up of marine pollution since the latters launch in 1992. For every marine eco-cruise we do, a 1km stretch of beach is cleaned. Our efforts have gained media attention, especially with our recent project of comparing beach rubbish when the fishing season is opened and closed. While the fishing season was closed a comparably smaller amount of pollution was found along the same stretch of beach, which really goes to show the impact! 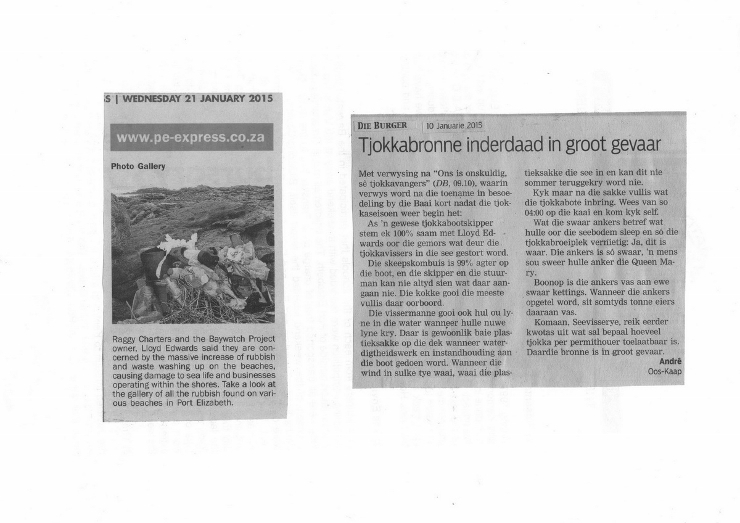 News 24 interviewed Raggy Charters owner, Lloyd Edwards, about this initiative, after many newspapers reported on our findings. The result of all of this was that the SA Marine Safety Authority wrote a special note to all members of the fishing industry stating that it was illegal to dump any garbage or fishing gear at sea. They also started a program of educating skippers in the fishing industry and reminded them of the garbage register that need to be kept up to date. So let's all take the time for at least one weekend of the year to get our beaches cleaned up to save marine life and our beautiful oceans! You can even do it whilst taking your dogs for a walk! 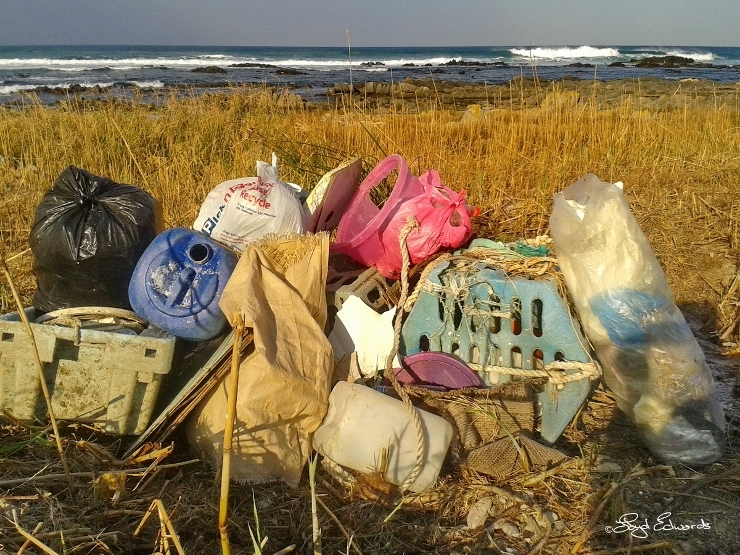 © Raggy Charters - 2019 | Links | Celebrate World Oceans Day with Beach Clean-Ups!